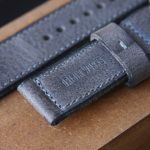 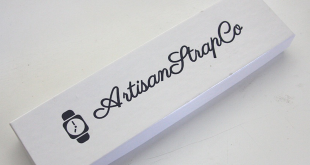 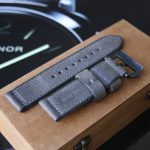 In my quest to check out every strap maker on the planet, I came across a company through Instagram known as Orijin Strapworks. 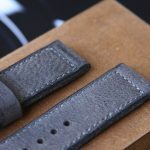 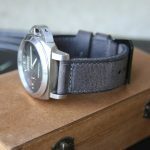 I requested a couple of their straps and received them this past week and wanted to share my thoughts on the quality of these hand made straps. 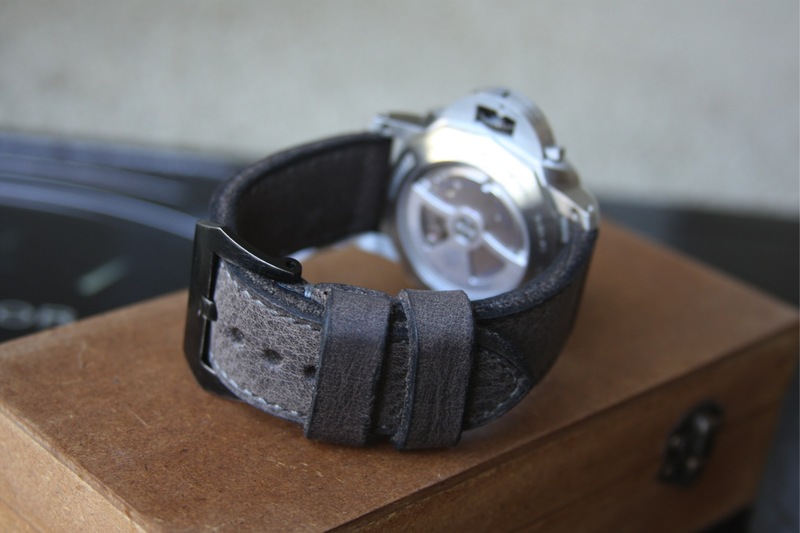 The first review in the series of two, is the model they call the “Phantom”. 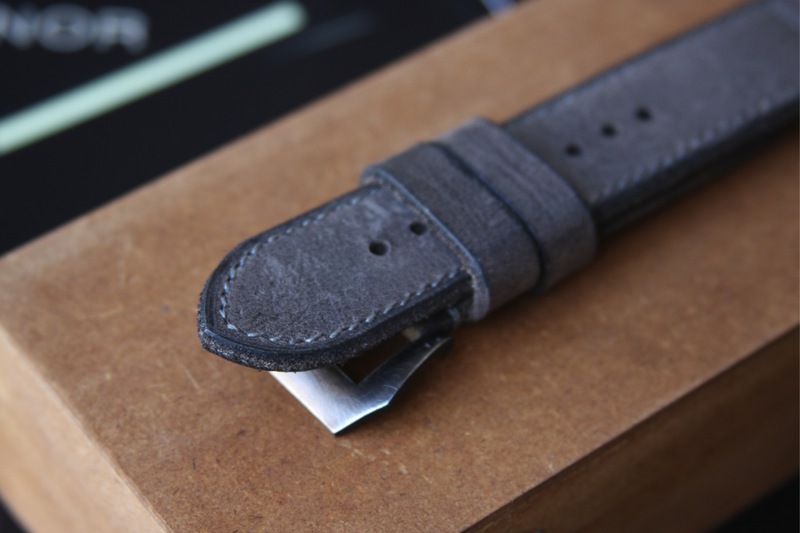 The Phantom is made out of supple calf skin leather and dyed to a beautiful graphite grey color. 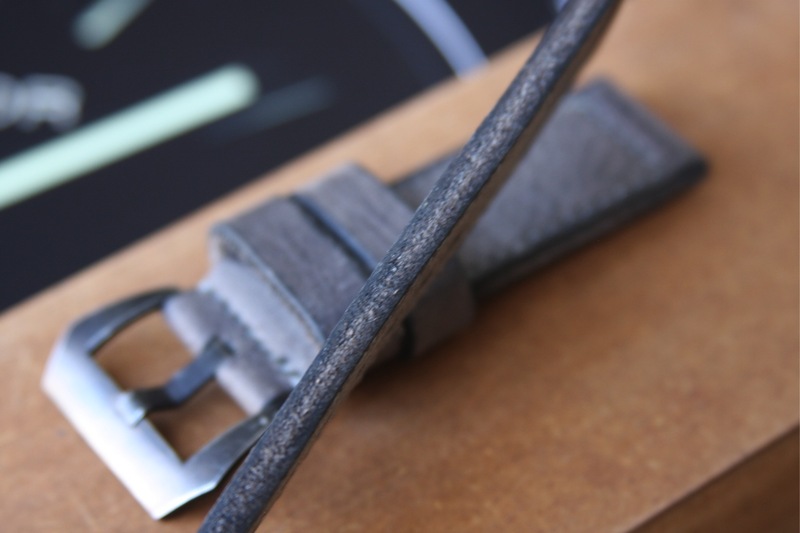 The leather has a great texture to it that is brought out nicely by the different shades of grey dye. 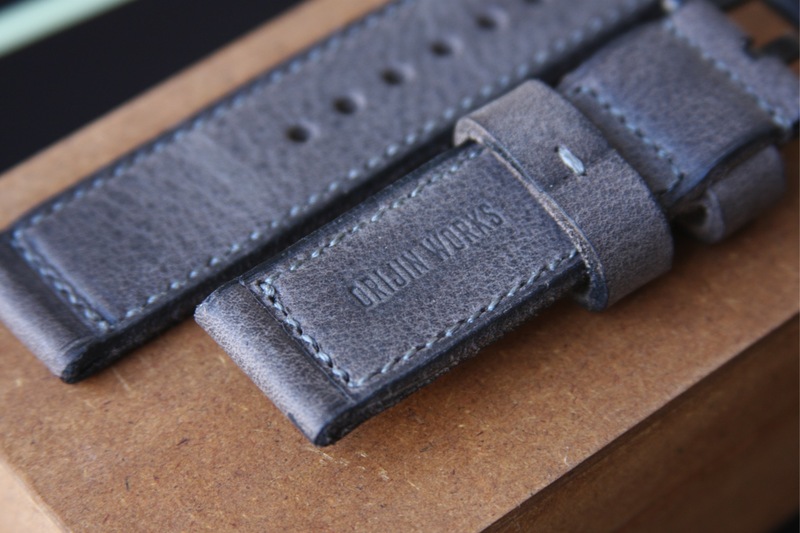 Orijin uses a dual layered fold over method to create the strap giving it an overall thickness of about 4mm. 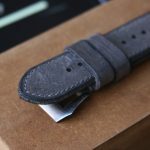 The edges of the strap are left unfinished which works out nicely with this particular strap giving it a very rugged look. 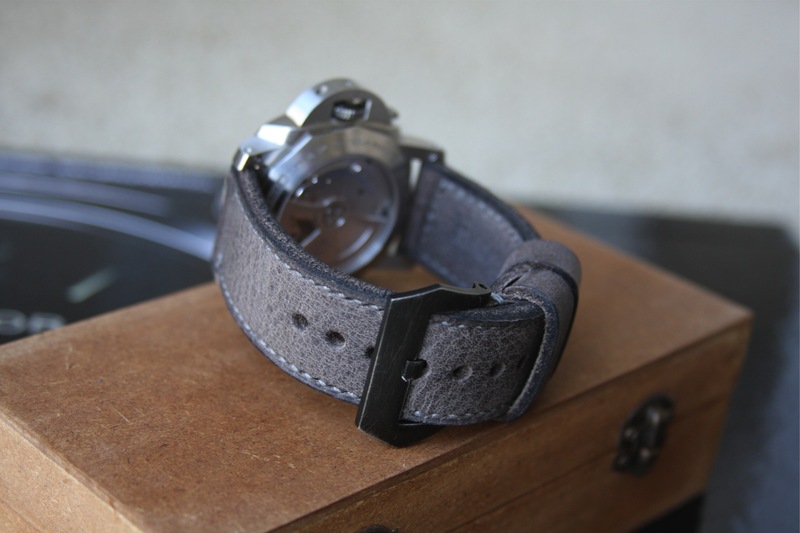 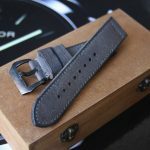 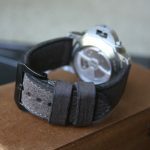 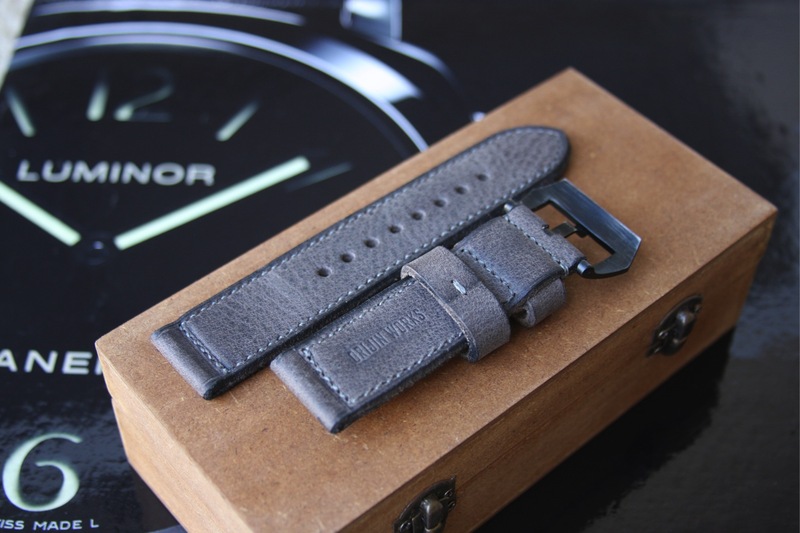 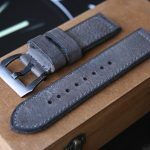 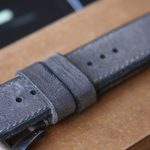 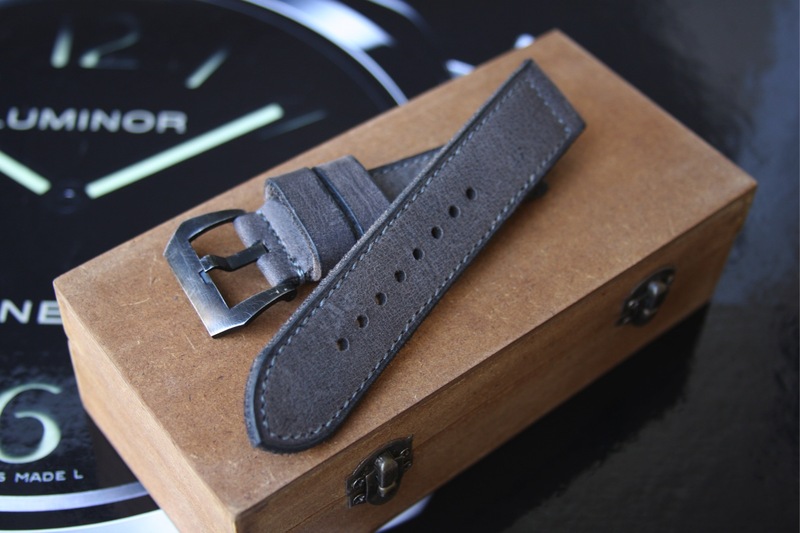 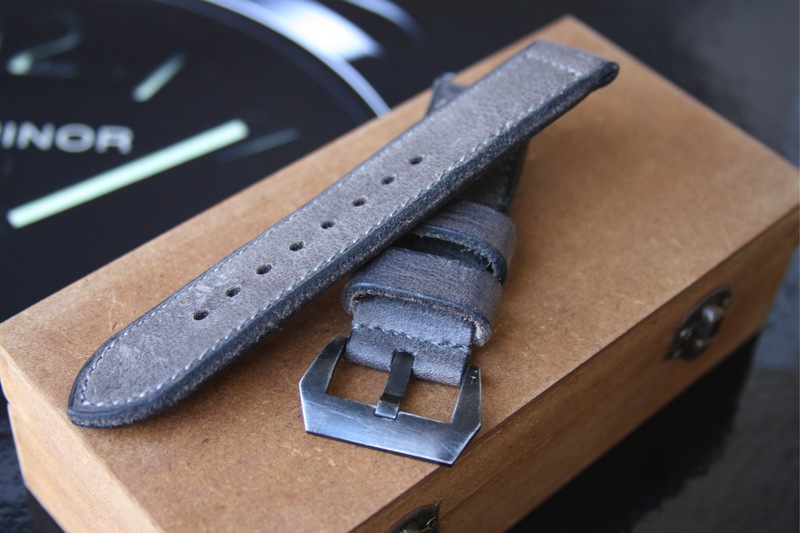 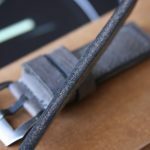 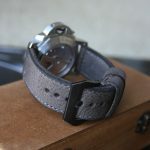 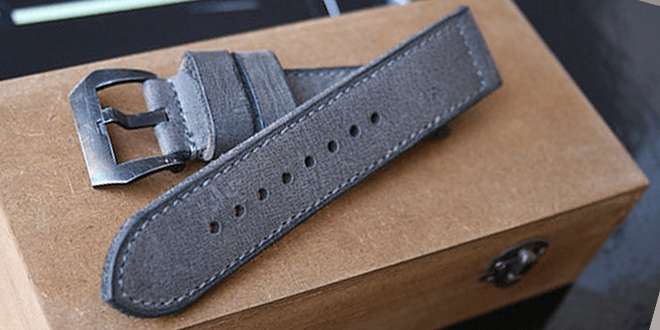 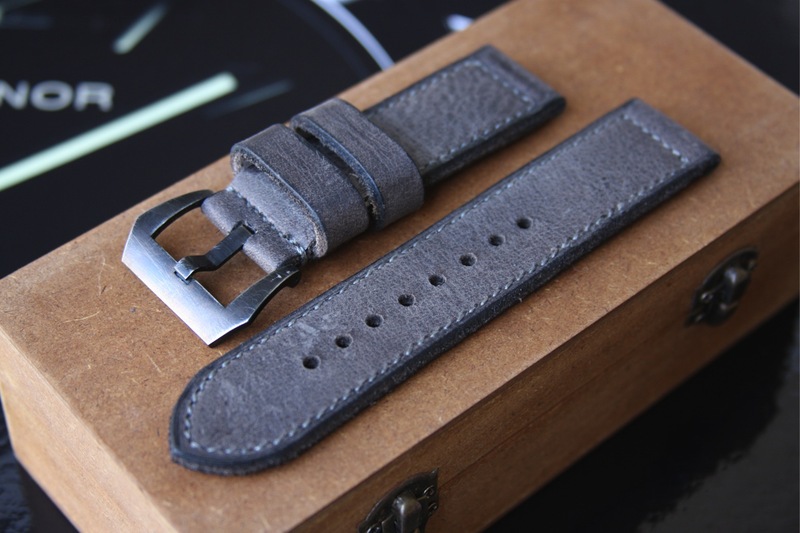 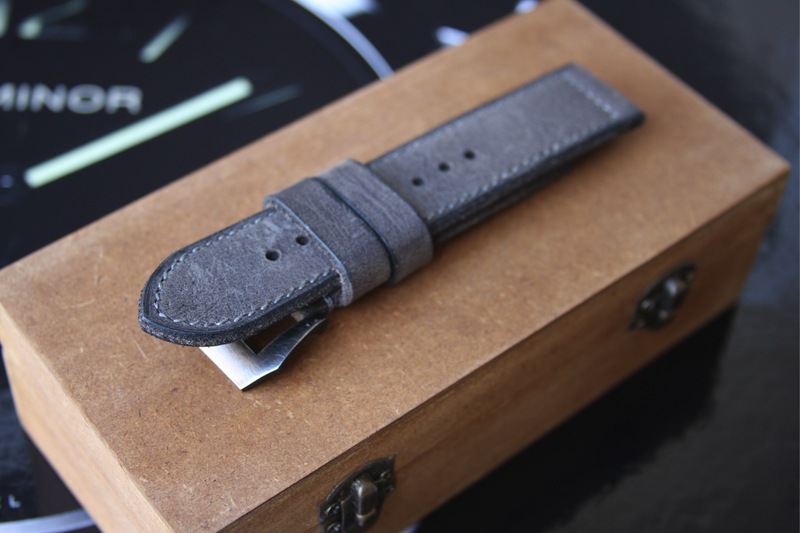 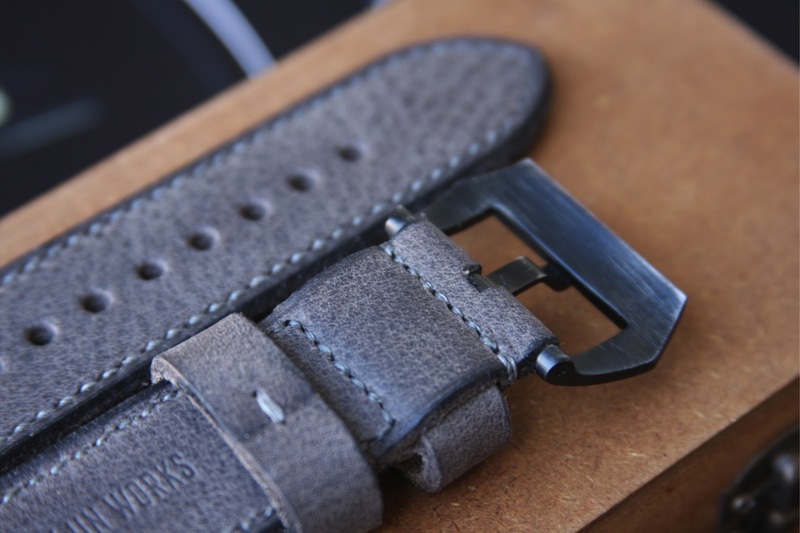 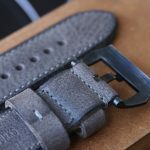 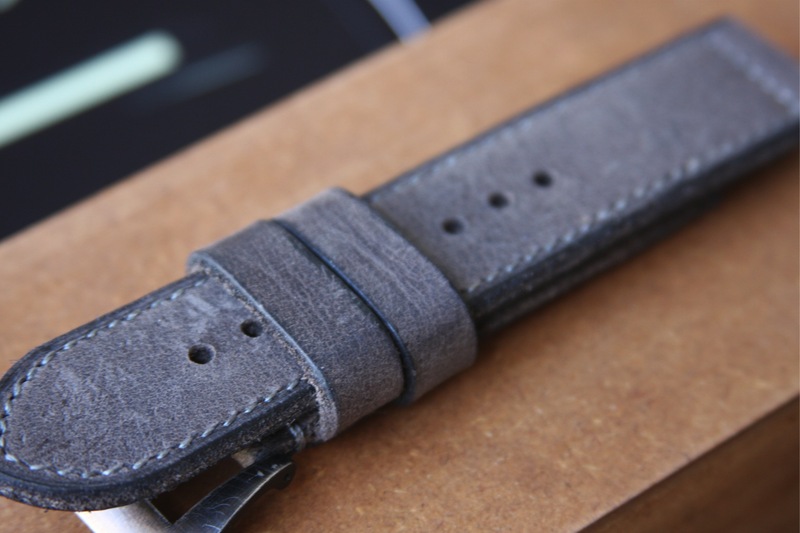 The stitching on this particular piece is done all the way around and uses a grey thread that is slightly lighter than the actual strap giving it a very faint contrast that compliments the strap nicely. 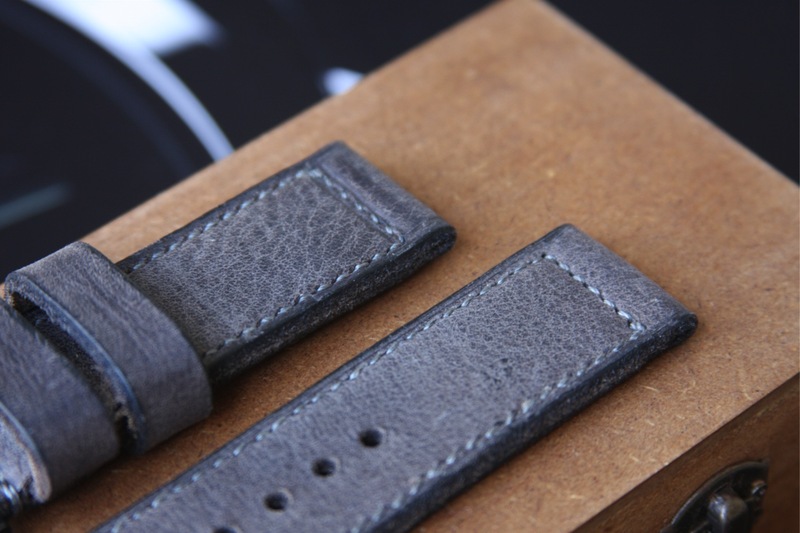 The stitching is done with great precision, leaving the stitches very tight and close to the edges. 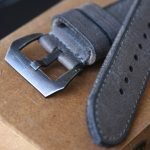 The strap is outfitted with a gloss black Pre-V screwed in buckle that has been distressed a bit with scratches giving the buckle and aged look that works nicely with this particular strap. 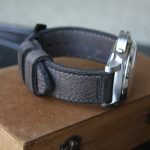 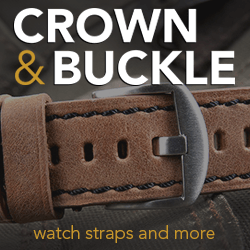 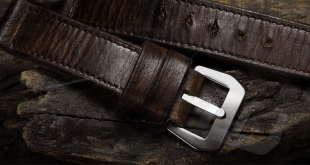 The buckle end of the strap features one fixed keeper as well a floating one. 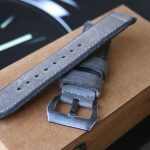 The holes are punched very accurately and spaced beautifully, but the buckle pin is slightly bigger than the hole so it might take a little bit of pressure to get it through the hole the first few times. 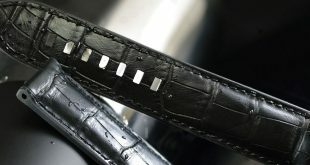 Of course as with any leather, the hole will stretch and allow it to be a lot easier to put in and out. 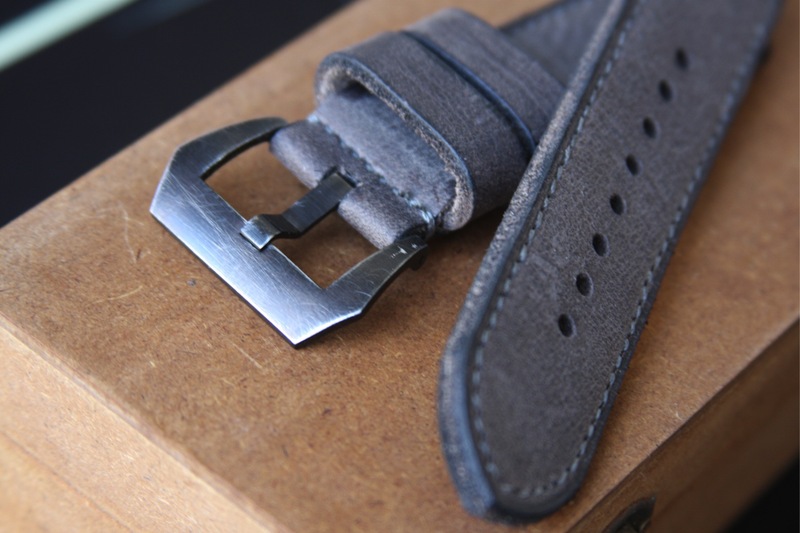 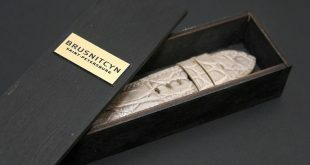 They leather that is used for this strap and the underside is very soft and pliable right out of the box. 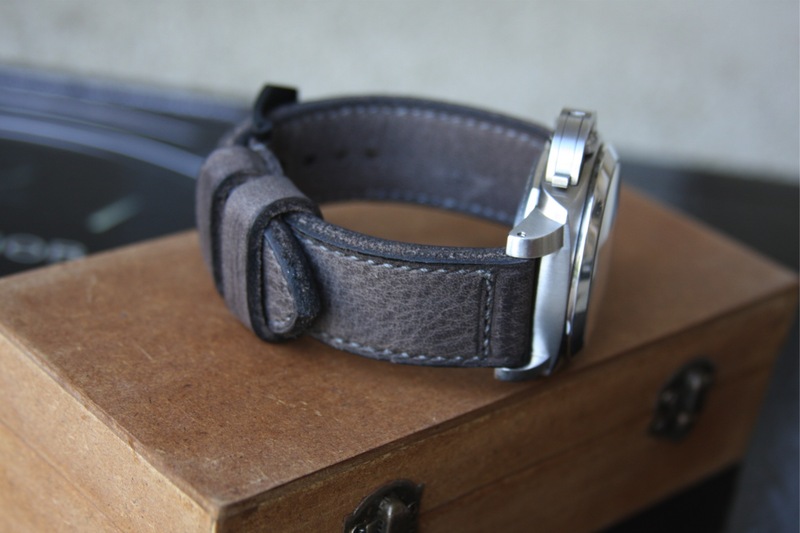 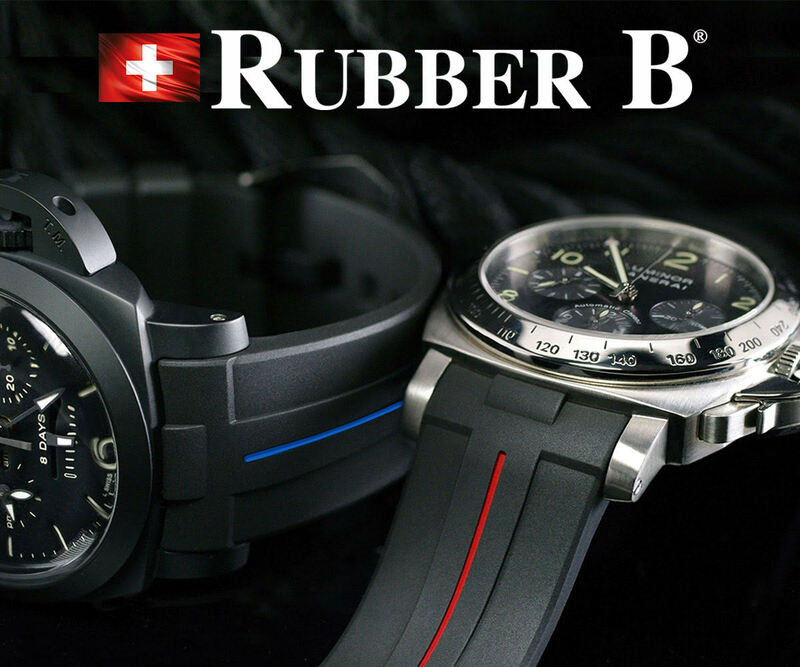 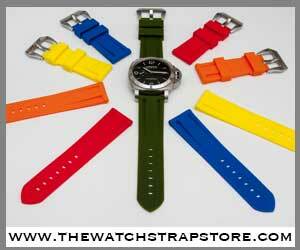 This flexibility allows the strap to be very comfortable with a very short break in period. 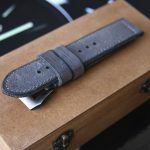 I have to say that I am pleased with the outcome and quality of the strap from Orijin. 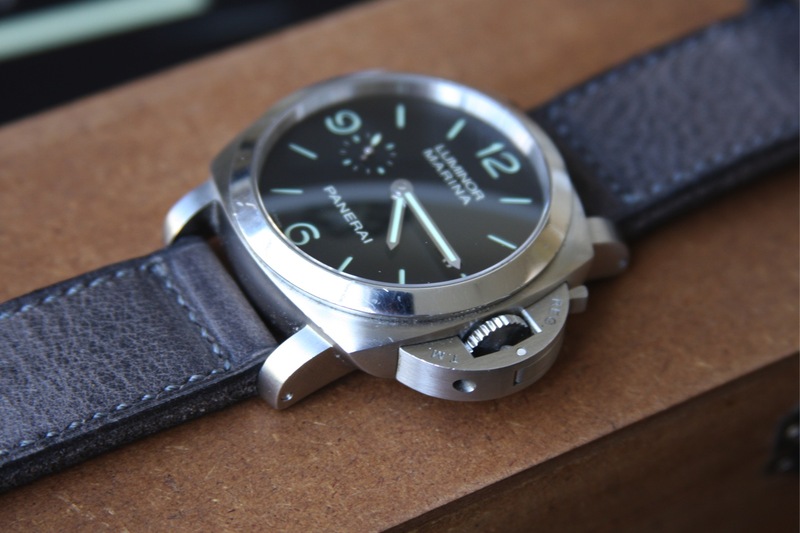 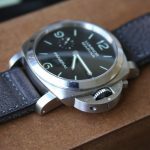 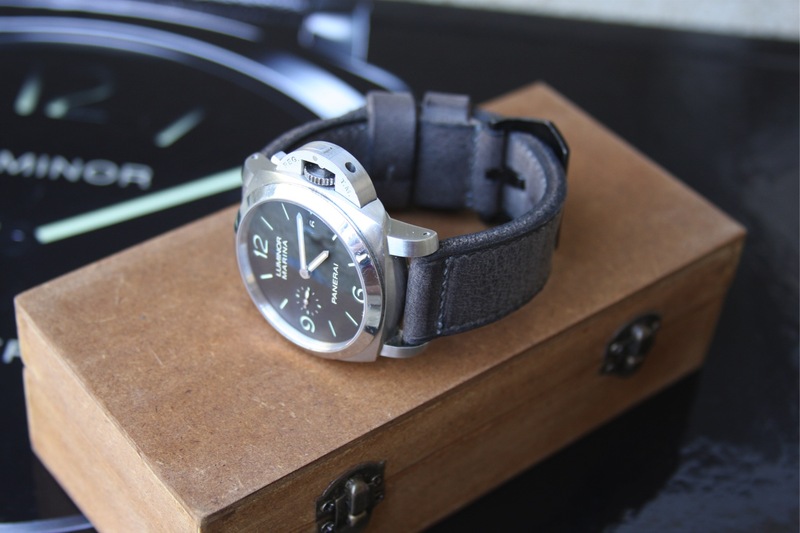 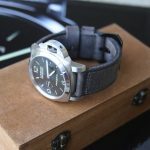 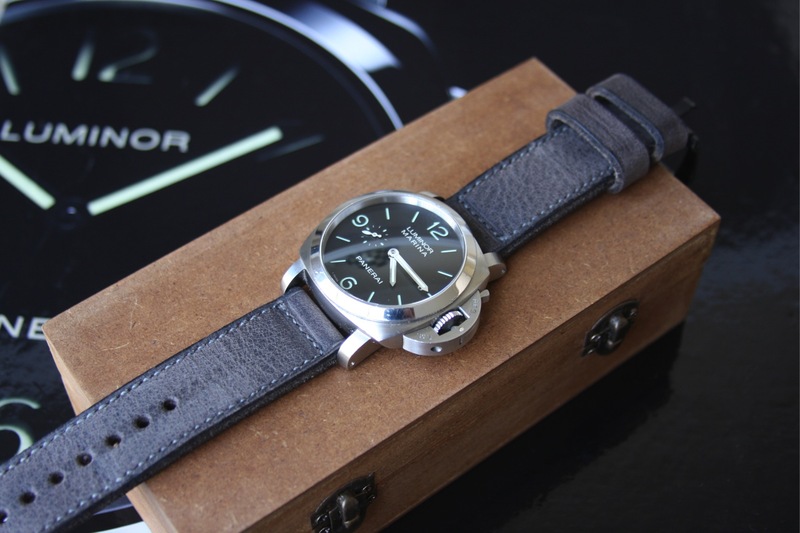 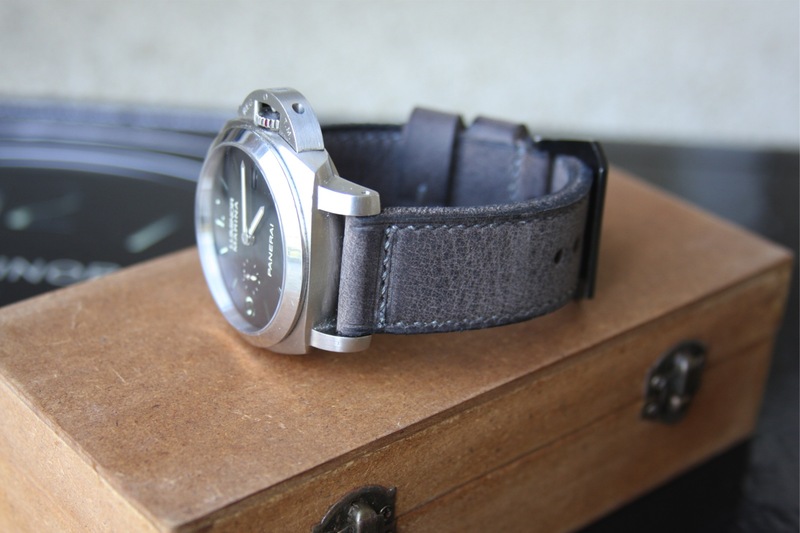 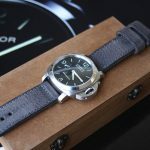 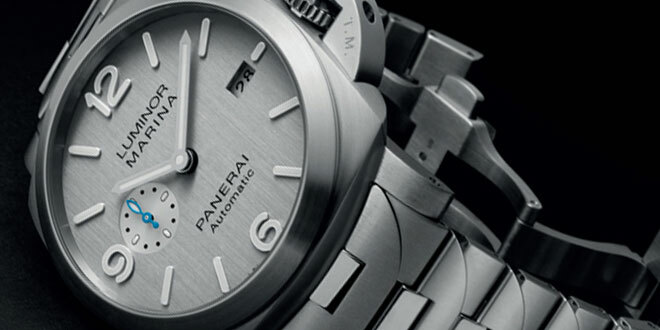 The color is one I have been looking for throughout my searches and I am glad to wear this on my Panerai.